The trip is booked and you are ready for some fun and relaxation. Thinking about renting a car or motorbike? Then you should think about getting an International Drivers Permit License. What is an International Drivers Permit License? It is a valid form of identification that is recognized by 150 countries. It translates the information on your permit in 10 different languages! 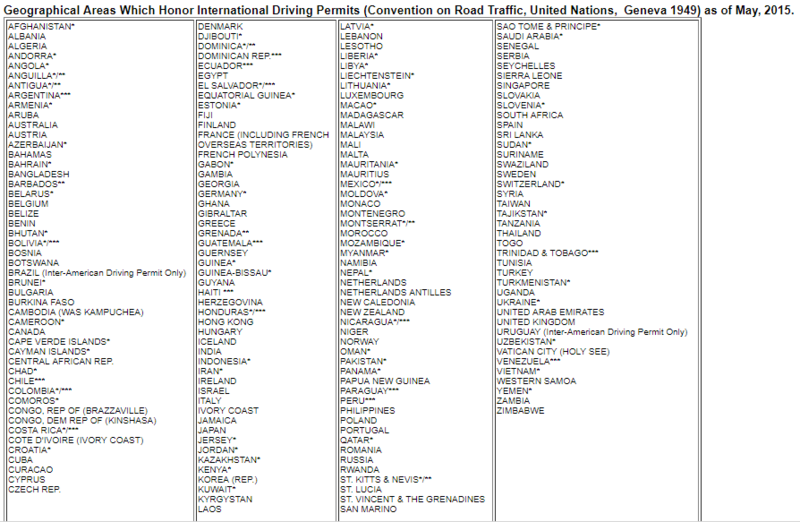 Most countries recommend that you have an International Driving Permit (IDP) in order to drive in their country. For only $20 its surely worth the peace of mind. So, how do you get an International Driving Permit? This cannot be obtained at DMV. It can be procured at AAA. You don’t have to be a AAA member to get an international driving permit. This IDP must be carried alongside your drivers license when driving out of the country. $20 application fee – payable in cash if applying in person. If you are mailing it in you must have a cashiers check or money order. International driving permit application – you can access that here. 2 passport photos – for tips on how to create them for less than 50 cents see this post. copy of your valid drivers license – front and back copies are needed. You can take all of these documents in to your local AAA office or you can mail them into your local AAA branch office. Here’s where to find the closest branch. Once you mail your documents in it can take 2 weeks or more for the office to process it and return to you. So to be on the safe side, mail it in at least a month in advance of when you need it. Or just apply in person. You can also “schedule” the date that you want your license to become effective (as long as its not more than 6 months in advance). Once you receive your permit, its valid for 1 year from the date it became effective. Are you considering applying for an international driving permit? What do you need one for. Comment below.